The Faculty Commons Pilot Program supports collaborative faculty research and programming, with community building as an explicit aim. 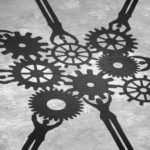 The program enables faculty members to coalesce as intellectual cohorts that engage in both collaborative projects and reciprocal mentorship and support. Click on the + links below to learn more. Interested in joining a group? Contact the convener for more information. Sponsored by the Faculty Commons grant at CIS, the “Blackness Unbound – Critical Black Diaspora Studies” working group aims to generate a vibrant and sustainable intellectual space at UCR for those engaged in the scholarly study and analysis of the complexities and multiplicities of Black Diasporas. This multi-disciplinary workgroup will host a year of interdisciplinary programming that will act as a center of gravity for Black Studies at UCR, focused on building a climate that encourages those engaged in a broadly defined Black Studies to come together around undergraduate and graduate training, research opportunities, and faculty collaboration at UCR. We believe that by tapping into the vast intellectual, creative, and professional resources on campus and the surrounding areas, UCR can become recognized as a nexus of Black Diaspora Studies both nationally and internationally. The title, “Blackness Unbound – Critical Black Diaspora Studies,” is meant to be a thematic container, one which provokes the unbound and multiple possibilities for engagement and discourse that exist across the UCR campus. The theme also invokes the various and diverse communities of scholars whose work addresses contemporary Black experiences via an array of analytical, artistic, and critically engaged angles. We recognize the potential for collaboration across several departments on campus, including, but not limited to, Theater, Performance Studies, Critical Dance Studies, History, Anthropology, Media and Cultural Studies, Education, Art, Gender and Sexuality, and Sociology. How might Black insurgent and revolutionary queer perspectives enable critiques of institutionalized discourses of diversity, and construct viable spaces for relevant interventions and creative exchanges? How can we cultivate Black Studies programming that critically engages social phenomena that profoundly impact experiences of Black people in the diaspora (e.g. racist and anti-Black criminalization, death by preventable disease, police brutality, AIDS/HIV infection, exposure to environmental toxins, punitive schooling, and intergenerational impoverishment)? How can we pragmatically engage and challenge the assumed genealogies of Black radical traditions that inform contemporary Black Studies? We propose a multi-pronged approach to programming that includes faculty-led seminars and workshops, a series of campus visits from renowned scholars and artists focusing on the study of Black diasporas and experiences, and brown bag lunches highlighting graduate student works-inprogress. While the brown bag meetings foster graduate/faculty mentor relationships on campus, talks by visiting artists and scholars will be open to all UCR students and the larger public in order to cultivate substantive exchanges with local and regional communities. Proposed seminars will bring together members of the campus community invested in Black Studies around shared readings, participatory workshops, and in-person small group dialogues. Additionally, we will extend the invitation for participation in seminars to graduate students and interested UCR staff. Seminar/workshop topics will include contextualizing the Black experience with regards to citizenship, the positionality of blackness in multiracial or diverse spaces, the relevance and impact of performance studies and the arts in the Black diaspora, and the effects (and affects) of gendered and queer critiques of Black radicalism. 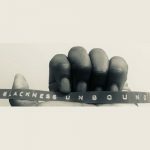 “Blackness Unbound – Critical Black Diaspora Studies” will thus develop an intellectual space that supports the recruitment of undergraduates interested in Black diaspora studies into graduate programs at UCR. The project will also attract and support faculty whose work intersects with the project themes, and will thereby enhance our collective capacity to recruit graduate students with corresponding research interests. We are excited to expand on pre-existing efforts focused on Black Studies and the unique infrastructure of UCR in a way that will position our campus as a premier space for Critical Black Diaspora Studies. For questions or more information, contact Anthony Jerry anthony.jerry@ucr.edu. The Inequities in Health Faculty Commons group examines social and economic factors affecting health through multiple lenses that include critical theory, queer and disability studies, Indigenous methodologies, and community centered scholarship. Our group meets the 2nd Thursday and 4th Monday of each month. Join us for dynamic interdisciplinary conversations. Our conversations are often recorded as part of our podcast development. Each meeting we select a topic and discuss “three questions” about that topic and its relation to health inequities. The podcast series will be released in June of 2019. For questions or more information, contact Juliet McMullin juliet.mcmullin@ucr.edu. 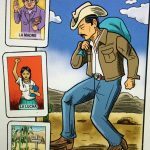 Focuses on work at the intersections of Latinx and Latin American Studies and explores U.S. Latinx identities in a transnational perspective, with topics that include migration and migrant justice, education, cultural production and social movements around labor, criminalization and immigrant detention. For questions or more information, contact Adrián Félix adrianf@ucr.edu. Examines diversity issues in the performing arts such as whitewashing, color conscious casting and gender and race disparities at performing arts institutions and considers comparative studies of artists of color, decolonizing innovations in performing arts classrooms and theoretical approaches to trans and non-binary roles. For questions or more information, contact Donatella Galella galella@ucr.edu. Focuses on reclamation projects that respond to Native American community needs and epistemologies, understanding reclamation broadly to mean recovery, renovation and innovation with a focus on Indigenous futurity, with an eye to associated Indigenous research methods. For questions or more information, contact Wesley Leonard wesley.leonard@ucr.edu.